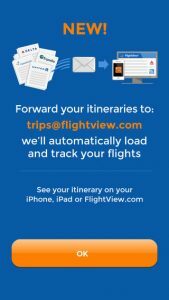 FlightView Free is an iPhone app developed by FlightView Inc. Before you head to the airport to catch your flight or pick up a friend, you should definitely install this handy flight tracker app! 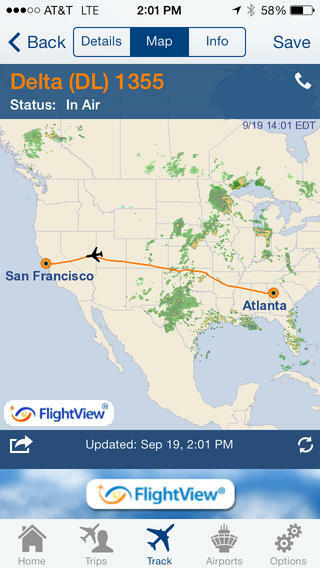 Even though this app is free, you can still get reliable, real-time flight information. 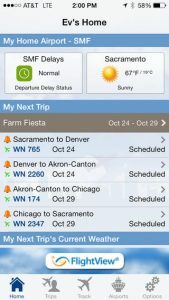 You can set up Flightview Free to automatically send you push notifications regarding your upcoming and in-air flights. In addition, you can easily call the airline’s reservation number right from within the app. This travel tracker is ideal for anyone who needs to quickly check gate assignments, delays, or cancellations. 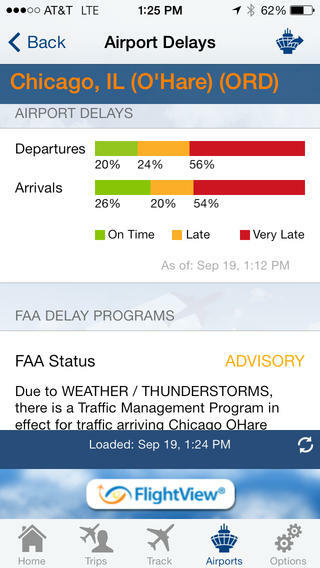 Something interesting is the ability to view a North American airport delay map with radar weather overlay. This can help you guess whether a flight might be delayed due to weather, even before that information is officially made available. Another handy feature that FlightView Free boasts is integrated driving directions to the airport. This is especially handy for times when you are driving to an unfamiliar arrivals gate. One feature that I really loved was the ability to look up flight info nearly a year into the future. You can search flights up to 350 days in the future and save them for later reference, which is great if you’re a Type A travel planner who obsesses over every little detail. If you’re wondering what is different between FlightView Free and the paid version of the app, there are two notable differences. One is the lack of ads in the paid version. 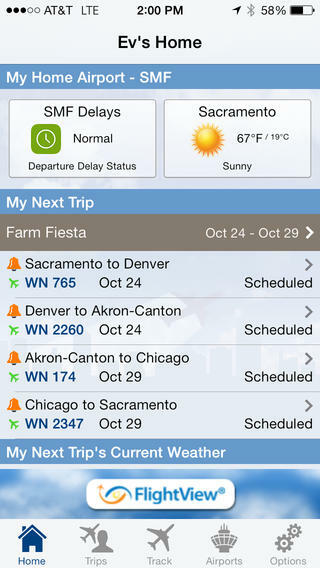 Additionally, the paid version of FlightView allows you to easily post your Flights to your iPhone Calendar. 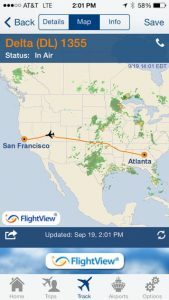 Overall, this flight tracker is thoughtfully organized, and responds quickly to changes in flight arrivals and departures. Whether you are a frequent flyer or rarely visit the airport, this app is worth having on your phone. FlightView Freerequires iOS 4.3 or later. Compatible with iPhone, iPad, and iPod touch. This app is optimized for iPhone 5.